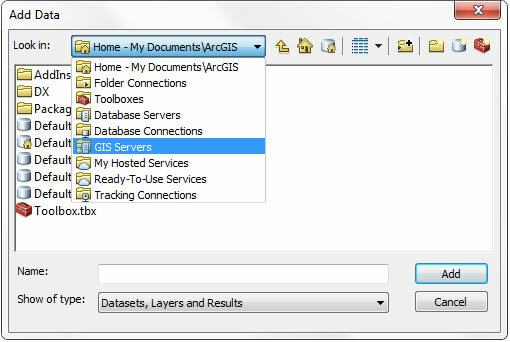 MAGIC provides a WMS service to allow users using GIS software to connect to geospatial datasets within their GIS programs. The WMS server provides multiple options for viewing layers including as JPEG, PNG, KML, and more. MAGIC's WMS address - http://geoserver.lib.uconn.edu:8080/geoserver/MAGIC/wms? 5. The GeoServer Web Map Service on geoserver.lib.uconn.edu_8080 server will appear in the GIS Servers window. Double click on the GeoServer Web Map Service on geoserver.lib.uconn.edu_8080 to add the WMS service. 6. The GeoServer Web Map Service link will appear in the next window. Select GeoServer Web Map Service and click Add. 7. The next screen will prompt you again to add this service as the GeoServer Web Map Service link will appear in the next window. Select GeoServer Web Map Service and click Add. 8. The WMS Layers will appear in the Table of Contents window in ArcGIS. You can turn on/off the layers by clicking the check box in front of each layer to view the layer. The user will be able to view the data but not query the information.